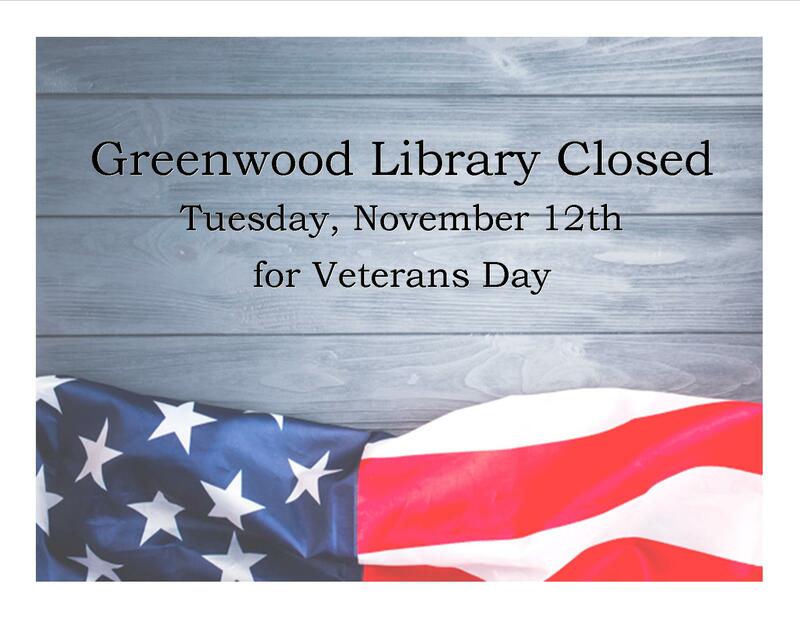 The Greenwood Library will be closed today for Veterans Day. We will resume normal business hours tomorrow. Our bookdrop is located along the sidewalk towards the back of the building. You can check your account, place holds and renew items on the Delaware Library Catalog.